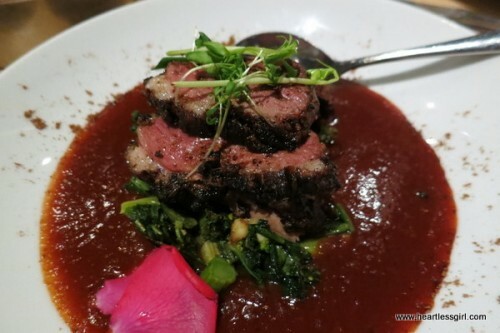 Pukka is my go to restaurant when I’m looking for delicious upscale Indian food. 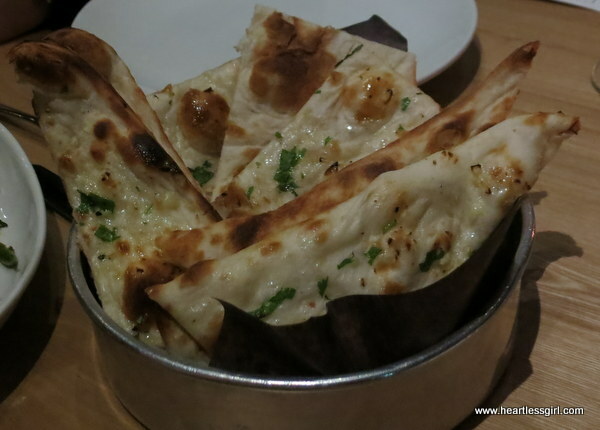 Pukka’s menu highlights a creative and inventive reprise of Indian dishes with a contemporary twist. Although Pukka is only a year and a half old, and they are always busy. They are currently looking for a second location! Here’s hoping that it’s in the east end! Owners Harsh Chawla and Derek Valleau were on hand to walk us through the dishes. 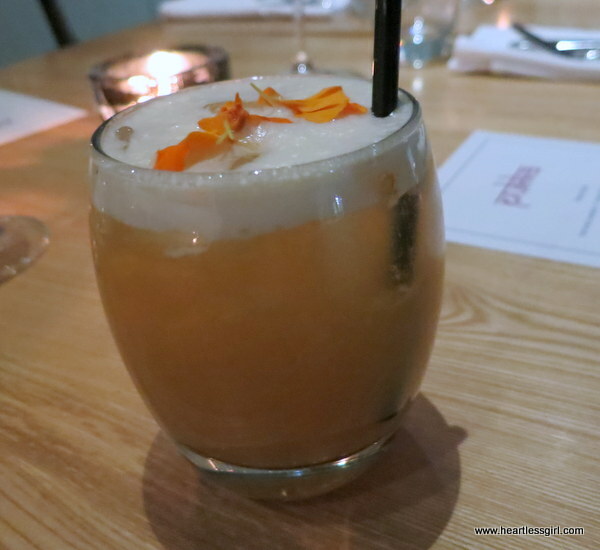 The evening started with a delicious cocktail, a British Razz, made with pineapple juice, rum and almond syrup. Wine is a cornerstone of Pukka, and Peter Boyd,the official sommelier, had paired each course with wine. 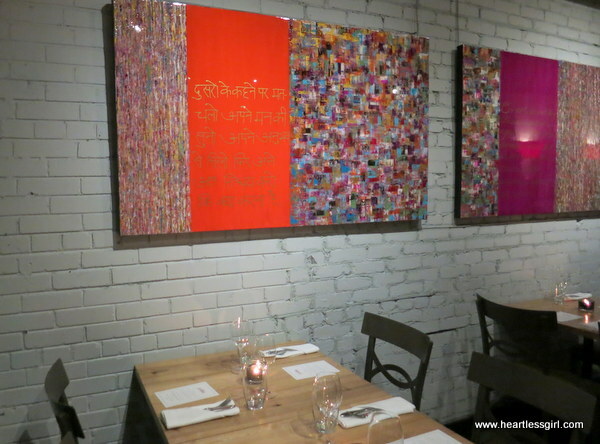 “Indian Food involves going by the glass to match the movement of flavours from course to course,” Peter tells us. High alcohol and spicy food don’t go that well together. Because Pukka isn’t a traditional Indian restaurant, they don’t reach traditionally high spice levels. This allows Peter to pair the dishes with red and white wines. 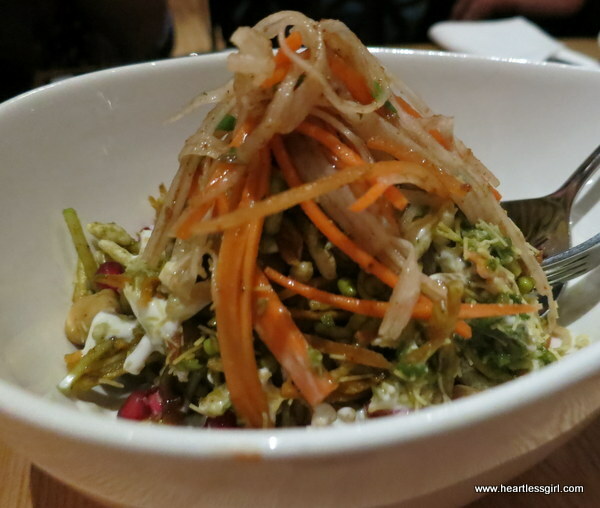 The first dish was String Chaat with string vegetables, sprouts, rice crisps, pomegranate, mango, chutney and yoghurt. 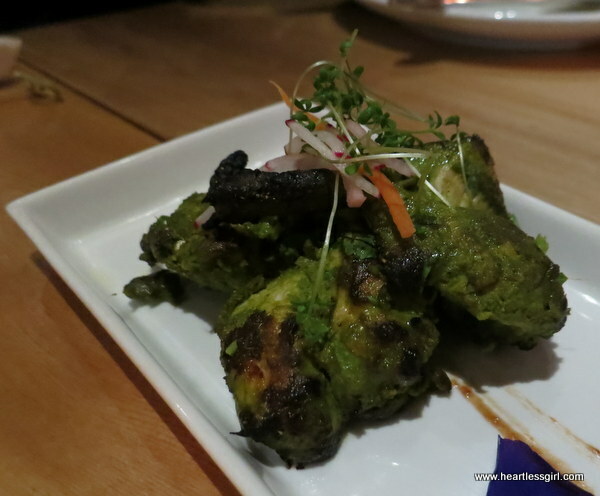 Next was one of my favourite dishes at Pukka- Chicken Tikka! Large, succulent pieces of chicken breast infused with herbs and tamarind chutney. Don’t forget the veggies! 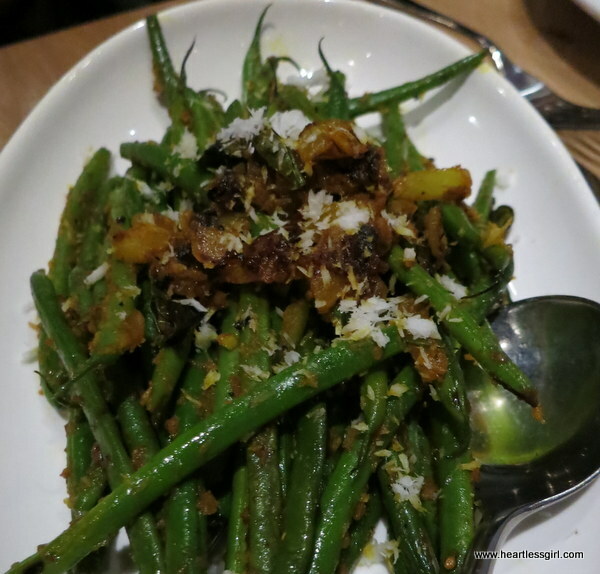 Coconut French Beans are topped with with fresh turmeric, coconut and caramelized onions. Giant Gunpowder Prawns are grilled and marinated with spice mix that gives the dish its name. Spiced include chickpeas, coriander, cumin and fresh lemon with fresh pineapple chutney on top. 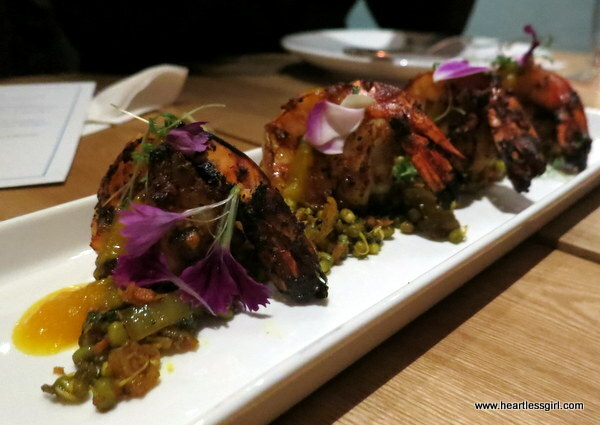 Prawns are served on top of moong beans tempered with carrots coconut and curry leaf. The second wine of the night was 2011 Beaumes de Venise, Suzon and goes well with lamb lollipops and the duck breast. The alcohol gives the wine some viscosity, the Garnacha gives it a blackberry cordial flavour and the Syrah brings a smokey quality. It’s aged in steel and French oak. 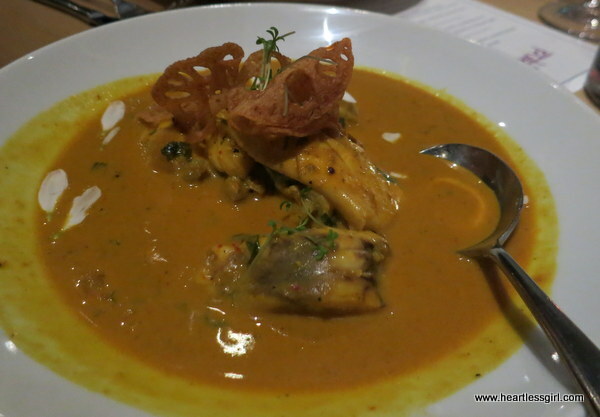 Boatman’s Curry is a traditional south Indian fish curry. Red snapper and monk fish are in this sauce made with coconut, mustard seeds and tomato. Served with crispy lotus root chips. 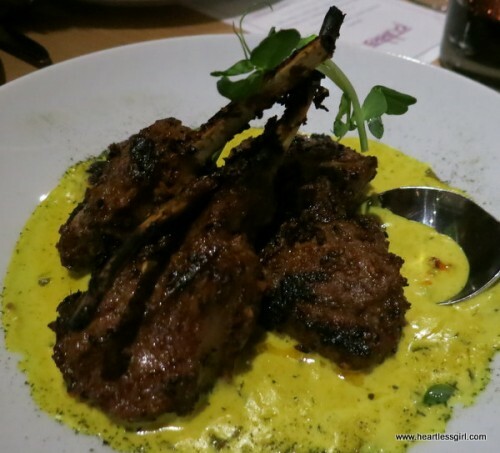 Tender Lamb Lollipops fall off the bone and taste of turmeric, mint and coriander curry. Non-traditional Spiced Duck Breast is a hit. It has a subtle curry but is packed with flavours from tamarind, star anise, lime and more. 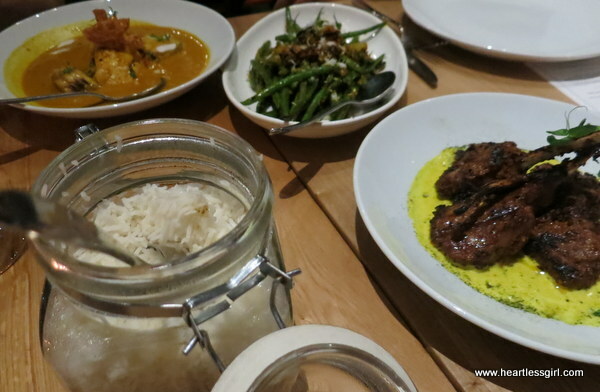 Dishes were served with warm naan and saffron infused rice, served in a mason jar. I always enjoy eating at Pukka. If you head to this resteraunt, be sure to try their amazing butter chicken, and chicken 65! Pukka also hosts intimate wine evenings held once or twice a month that are capped at 16 people. The wines of Hungary, Status Winery and Rose of France are all upcoming wine events.